Our expert and registered mechanical team are waiting to work on your vehicle. 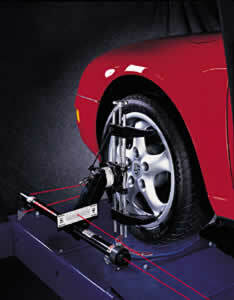 We offer full wheel alignment services, wheel balancing, mechanical and referral services. 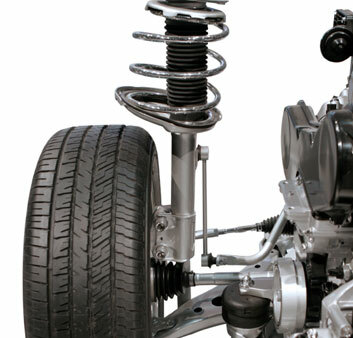 In their simplest form, shock absorbers are hydraulic (oil) pump like devices that help to control the impact and rebound movement of your vehicle's springs and suspension. Along with smoothing out bumps and vibrations, the key role of the shock absorber is to ensure that the vehicle’s tyres remain in contact with the road surface at all times, which ensures the safest control and braking response from your car. Although all shock absorbers do the same job, different types of vehicles and suspension designs require different types of shock absorbers which can appear radically different. No matter the application, all shock absorbers fit into one of three broadly defined types conventional telescopic shock absorbers, struts or spring seat shocks. One of our MVRIC - certified technicians will examine your entire brake system, pads/shoes, hydraulic fluids, anti-lock systems, rotor/drum wear and calipers. Then we will tell you what, if anything, is needed. Pads and Shoe Replacement We use only reliable replacement parts that meet or exceed your vehicle manufacturer's specification. 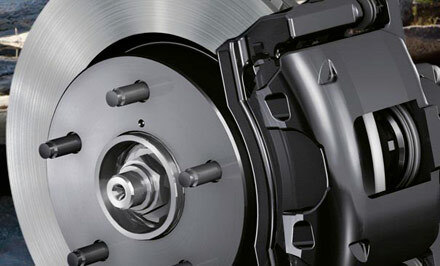 Resurface or Replace Rotors or Drums To ensure your brake rotors or drums have a clean, even surface which is necessary for proper braking, we will resurface or machine them, keeping the rotor/drum within your vehicle manufacturer's recommended specifications for minimum thickness. If they need to be replaced, then we will tell you up front and provide a written estimate too. Bleed and fill hydraulic system Sometimes braking can become unsteady due to air bubbles in your vehicle's hydraulic brake line. By 'bleeding' your brakes, we will remove troublesome air bubbles and refill your hydraulic brake fluid to the manufacturer's recommended level with hydraulic fluid that meets or exceeds your vehicle manufacturer's specifications. 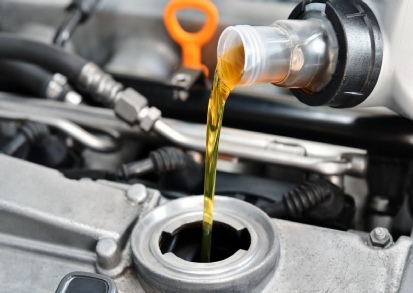 Goulburn Tyre Centre offers a full range of mechanical servicing and repairs. 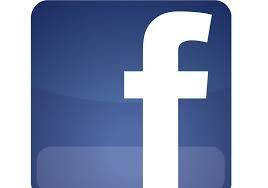 From basic logbook schedule services, to more involved engine, suspension, steering and brake repairs. We can give itemised quotes and safety inspections, as well as being a fully accredited RTA inspection station (including LPG and "blue slips"). So, for everything from lubrication to timing belt changes give us a call, and we can find an affordable solution. Wheel alignment, sometimes referred to as breaking or tracking, is part of standard vehicle maintenance that consists of adjusting the angles of the wheels so that they are set to the car maker's specification. The purpose of these adjustments is to reduce tyre wear, and to ensure that vehicle travel is straight and true (without "pulling" to one side). Motorsport and off-road applications may call for angles to be adjusted well beyond "normal" for a variety of reasons. 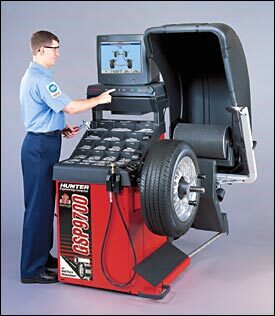 We have the latest laser technology wheel alignment equipment and trained operators to provide the most accurate and best driving result possible for your car. Correct wheel alignment gives large gains in steering response and accuracy, tyre grip and fuel economy to say nothing of tyre wear. In addition to providing a smooth ride, the balance of your tyres is a key component in tyre wear. It is critical to maintain the tyre balance on your vehicle in order to receive satisfactory service from your tyre investment. If you are experiencing a vibration in the steering wheel, seat or floorboard at certain speeds, your tyres may be out of balance.